Every now and again I see it fit to do a little self promotion although today this shameless promotion isn’t necessarily because I want it but rather I’m getting worried by the number of people that come to our trade counter asking for cartridges for particularly expensive printers.This is genuinely surprising because I have mentioned in Click a number of times about checking out the ongoing running cost of your printer before buying but this seems to be falling on deaf ears. The ongoing running costs are an extremely important consideration and the analogy I like to use is that I wouldn’t go out and buy a ridiculously cheap car if I then had to fill up with petrol at cost of £10 a litre.It seems strange to me that when buying a new printer that consumers still look primarily at the initial purchase price of the machine rather than the likely cost it will incur during its lifetime. The perfect example is a Dell printer that I saw for sale a couple of months back for £9.99 including two cartridges but then replacement cartridges cost the user approximately £45 a pair and to make matters worse these cartridges weren’t particularly heavy duty.Over the life of the printer you would spend substantially more than if you’d had researched the on running costs and then spent possibly a little more on the actual printer itself. Another good example that I’ve found in my line of work is the number of HP printers on the market at present which will only accept quarter filled cartridges. 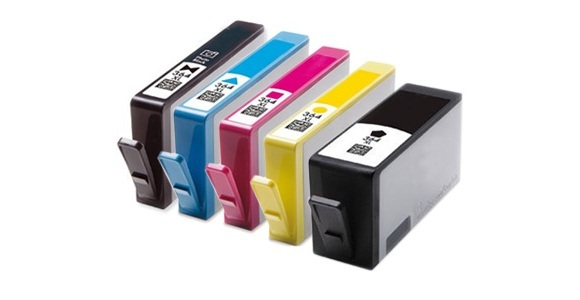 Take a look at a HP 21 cartridge and you’ll find it’s physically identical to a C6656A with the exception that a HP 21 contains 5ml of ink whereas the HP 56 takes 18ml.Some HP printers allow you to use either cartridge but a number of current models insist that you take the much smaller but similarly priced 5ml cartridges.In my mind you’d be better off spending a little more on a printer that can use the higher capacity HP 56 cartridges rather than the 5ml HP 21’s even if not for the savings but the environmental benefits. At Refresh Cartridges we only ever sell our customers printers that will be cheap to run in the long run.Our current range of Epson printers that we have in store start from £39.99 and can take compatible cartridges that cost just £3.99 a piece.We don’t sell any printers for which cheap cartridges are not available as in good conscience I couldn’t sell a printer to someone if I knew they would regret it several months down the road. You don’t even have to buy a printer from us to benefit from our buying advice; just phone us up or drop in store when you’re looking at buying a new printer and we can let you know how that machine will shape up in the long run.Things like the price of the original cartridges, whether compatibles or remanufactured units are available and the actual capacity of the cartridges are all important considerations which we can advise you on. I’ll finish by reminding you all that we’re running an empty cartridge collection which in the last year has raised over £1,000 for the charity Age Concern Torbay.If you drop your empty cartridges back to us we’ll sell them back to the third party manufacturers so that they can continue to make cheaper alternatives to the manufacturers originals.Not only is this a great help to the environment and your pocket but every single penny that we get for doing this collection is given back to charity with absolutely nothing kept for ourselves.